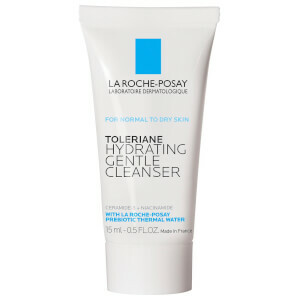 Daily care to hydrate, comfort and reduce skin sensitivity. Targeted rehydration technology designed to: -Adapt the moisture needs of every single zone of the face. -Provide instant, intense and long-lasting hydration. 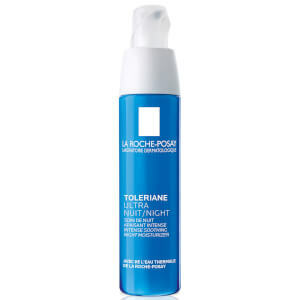 It also contains La Roche-Posay Thermal Spring Water, glycerin and Sodium Hyaluronate. 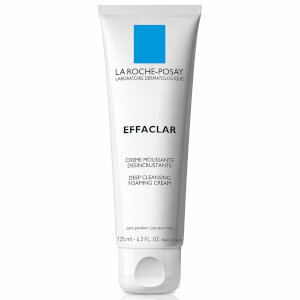 - Contains SPF15 and UVA protection to minimize the harmful effects of UV rays. Active Ingredients: Avobenzone 3%, Homosalate 4.7%, Octisalate 5%, Octocrylene 7%. Other Ingredients: Water, Isononyl Isononanoate, Glycerin, Dimethicone, Aluminum Starch Octenylsuccinate, Sucrose Tristearate, Polymethylsilsesquioxane, Polysorbate 61, PEG-12 Dimethicone, Carbomer, Triethanolamine, Dimethiconol, Sodium Hyaluronate, Sodium Stearoyl Glutamate, Disodium EDTA, Hydrolyzed Hyaluronic Acid, Caprylyl Glycol, Xanthan Gum, Sodium Benzoate, Phenoxyethanol, Fragrance.